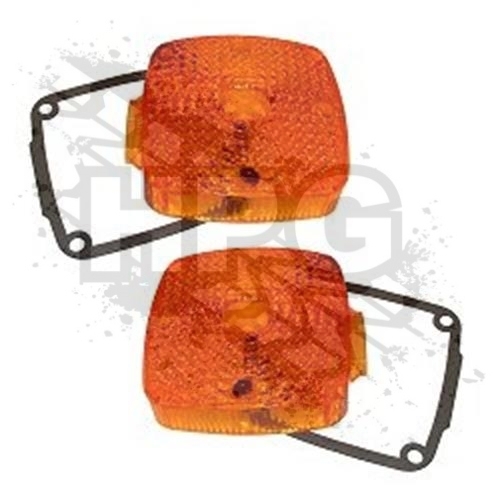 REPLACEMENT TURN SIGNAL LENSES FOR THE STOCK H1 FRONT TURN SIGNALS. INCLUDES 2 LENSES AND 2 GASKETS. DOES NOT INCLUDE REPLACEMENT HARDWARE.